Cue Hoda! 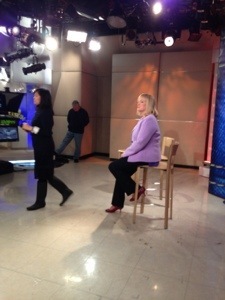 Cut to Kathie Lee! 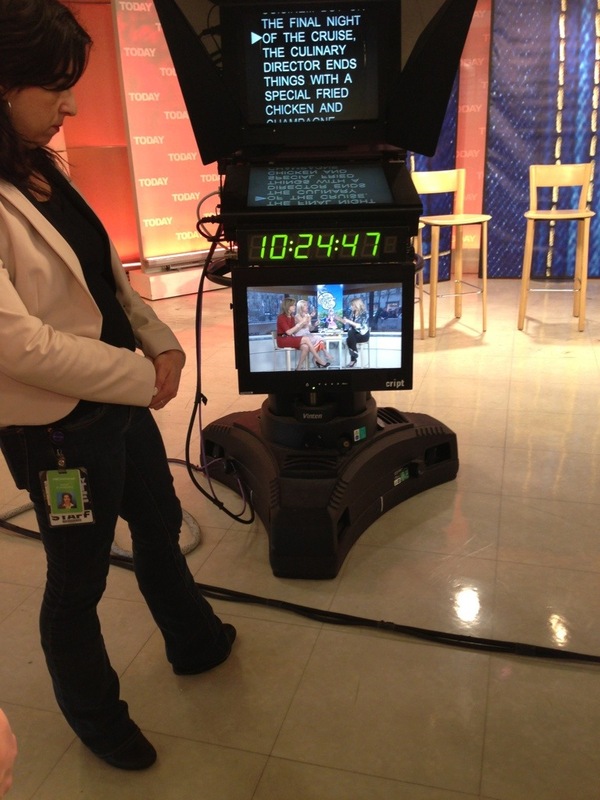 On the set of The Today Show with Hoda and Kathie Lee! Thanks to the tenacity of writer and friend Lisa Marsh, whotried on 73 and 1/2 pairs (that’s right!) to find the perfect pair of jeans for her recent Good Housekeeping magazine article, and GH’s fashion director Jasmine Chang, who styled the four of us “real life” models, I got to parade my short stuff on national morning television wearing a pair of Talbots jeans. 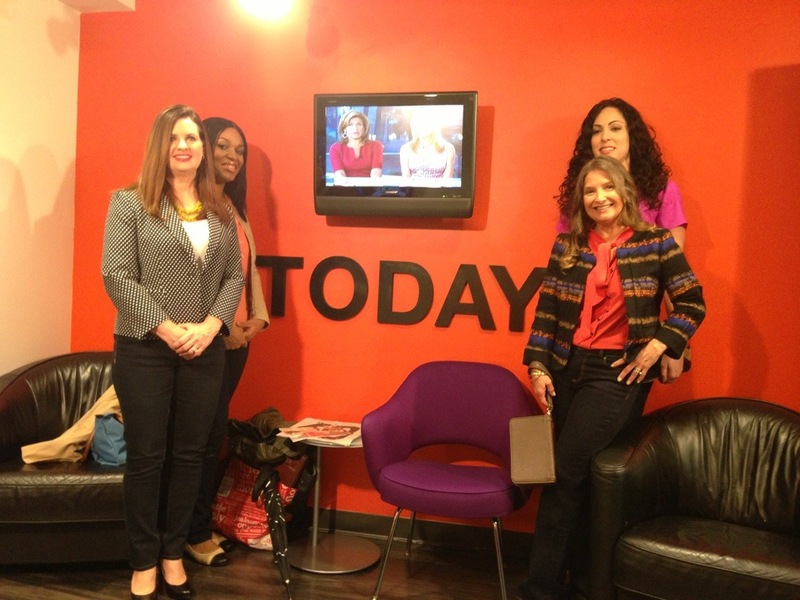 That’s Lucy Lic, Crystal Scott and Muna Hamouie with me, above, l-r, in The Green Room before our segment with Lisa, Hoda and Kathie Lee! Au contraire, mon frere, you gasp? Mais non! The petite denim pants I rocked on the show were pretty, powerful and prestigious. Read: they looked upscale and dressy enough that I could see myself buying a pair of these dark “Heritage” label Talbots for any client meeting. Since a buyout deal last May, Talbots has been turning out a new look for its ladies, trying to claim a new, hipper demographic. Hey! No more mom jeans now, Talbots is shooting for the cool kids in school who want the latest denim hotness. And guess what? I didn’t even have to hem them! 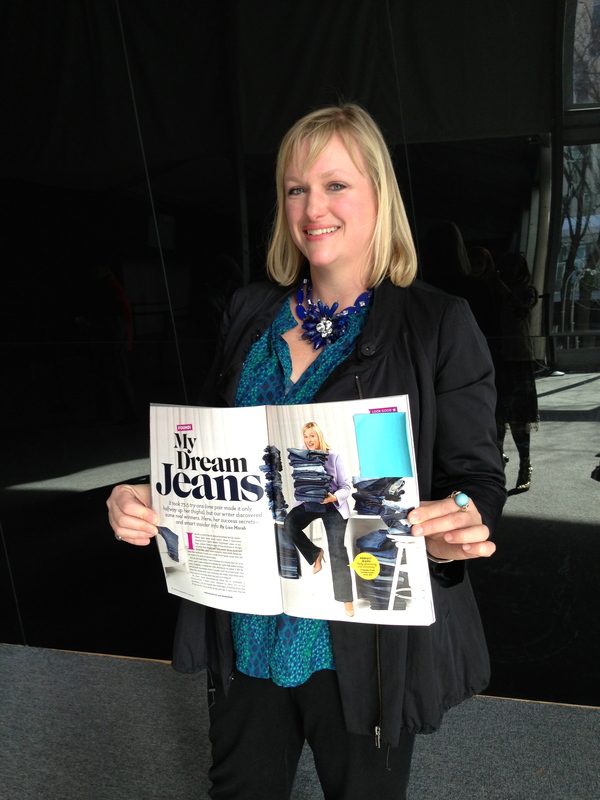 The Beautiful Lisa Marsh – Author, Journalist, Good Housekeeping’s Real Life Denim Expert! 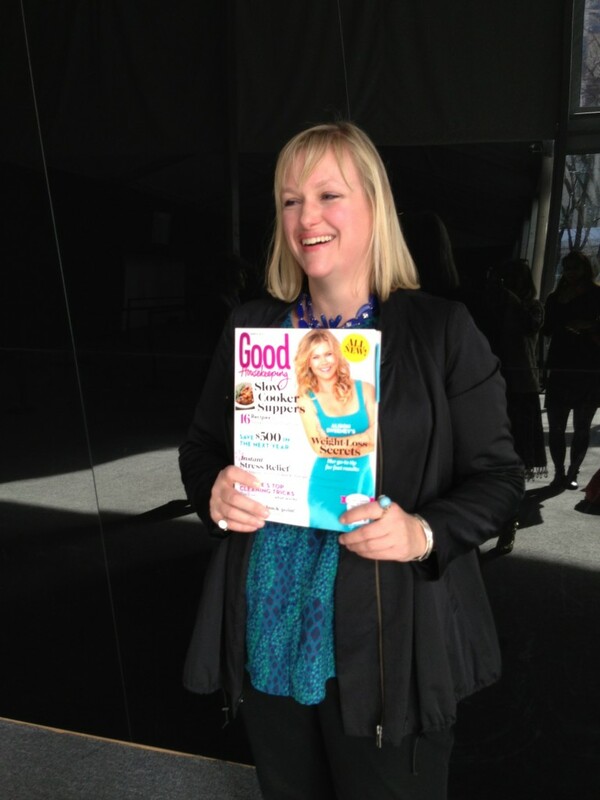 Sighted: My beautiful friend, colleague, former Fairchild DNR alum, the lovely and talented Lisa Marsh made us so excited for her today in the tents as she shared with us her latest published work – her Good Housekeeping spread, where she models and “test runs” some nearly 75 pairs of jeans, giving readers her take on which pairs work…and which ones don’t. 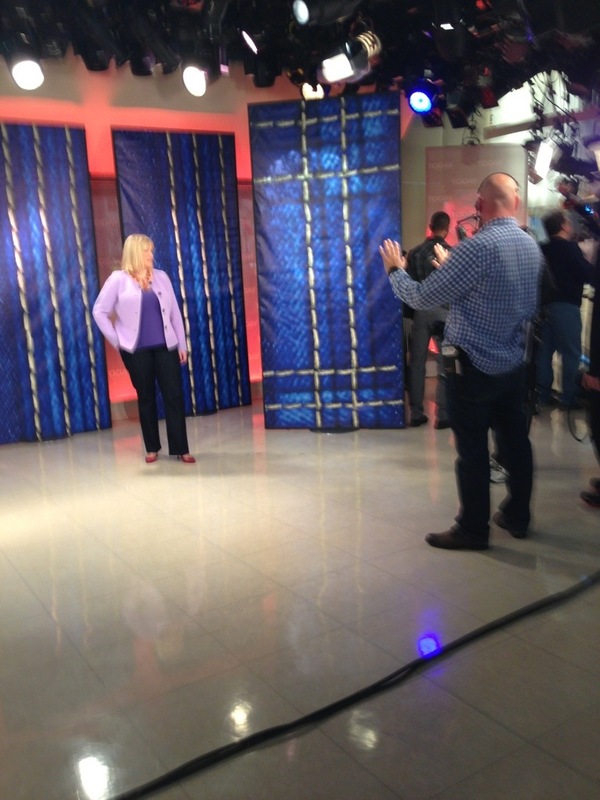 Lisa and her Good Housekeeping denim spread! Get it on stands now! I totally get the “love/hate relationship with jeans” that she describes in her article’s lead. Denim has often not been a friend of mine, either. Hello, thighs? Are you listening?! I thought I’d never find a pair of Levi’s to fit both my waist and my hips at the same time when I was young. But I really love that Lisa is letting real women in on the secrets to dressing in denim when you’re, well, a real woman. With a real body and real curves. Not one of these clothes hangers that we’ve become inured to during the past 8 days of New York Fashion Week! More to come. Lisa will be appearing on The Today Show on March 12th as a follow up to the Good Housekeeping story and we will keep you posted. 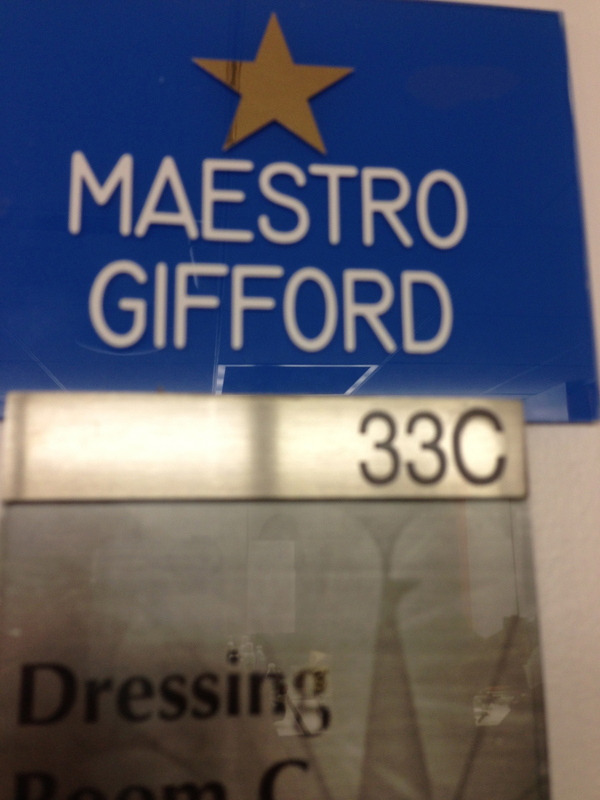 Rock on, Ms. Marsh! We’ve got the DVR awaiting!